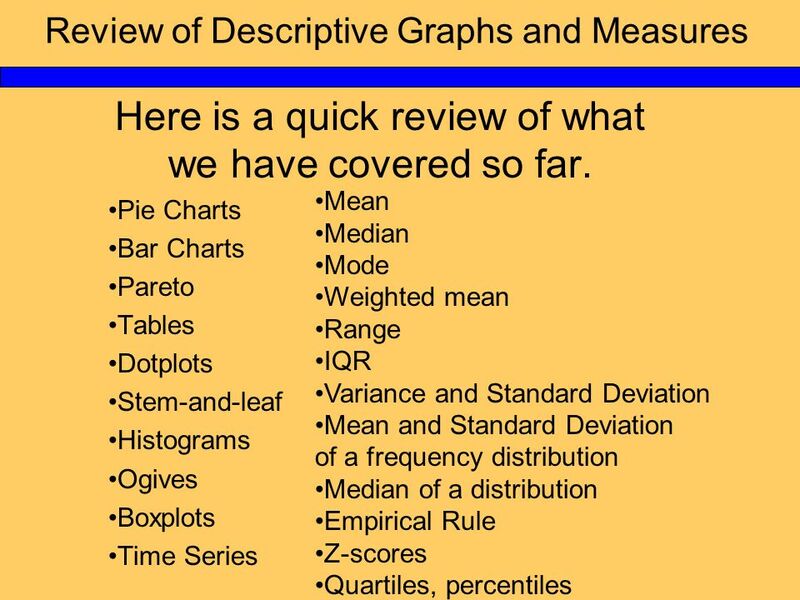 Review of Descriptive Graphs and Measures Here is a quick review of what we have covered so far. 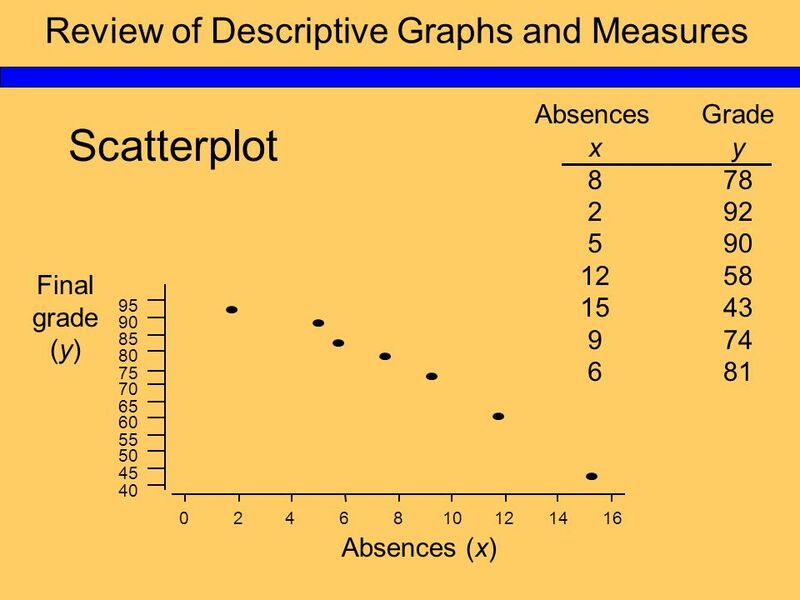 Pie Charts Bar Charts Pareto Tables Dotplots Stem-and-leaf. 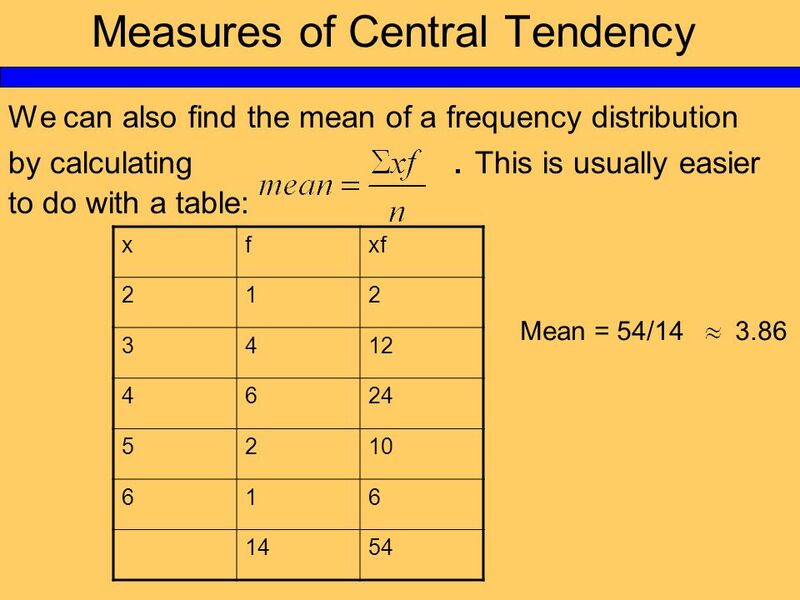 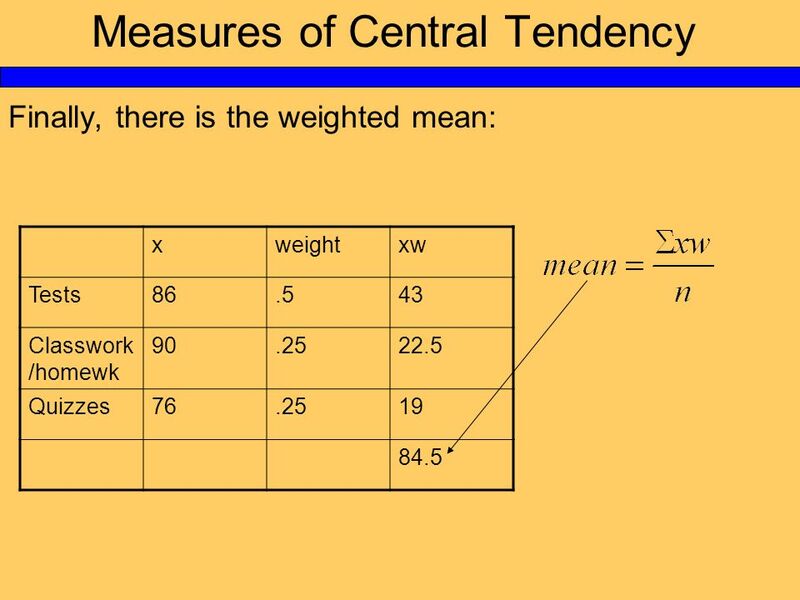 7 Measures of Central Tendency The mode is the value that occurs the most. 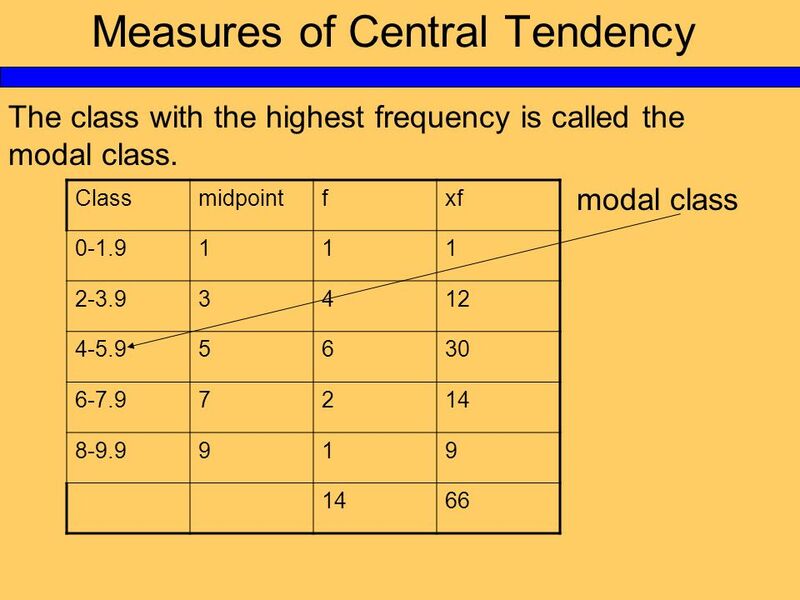 There can be more than one mode. 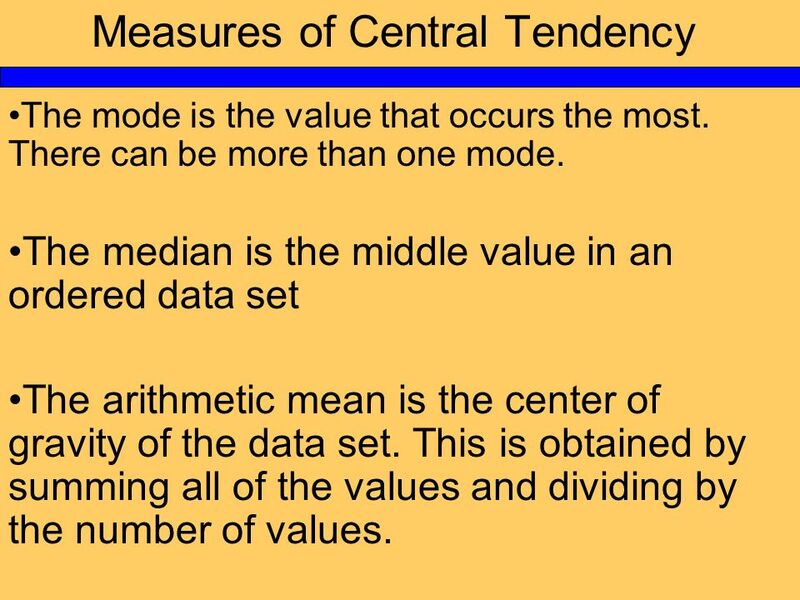 The median is the middle value in an ordered data set The arithmetic mean is the center of gravity of the data set. 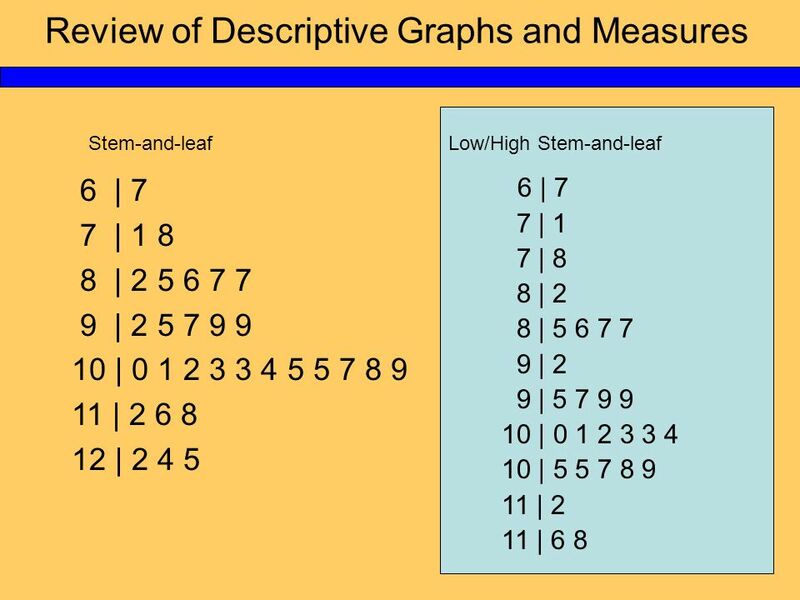 This is obtained by summing all of the values and dividing by the number of values. 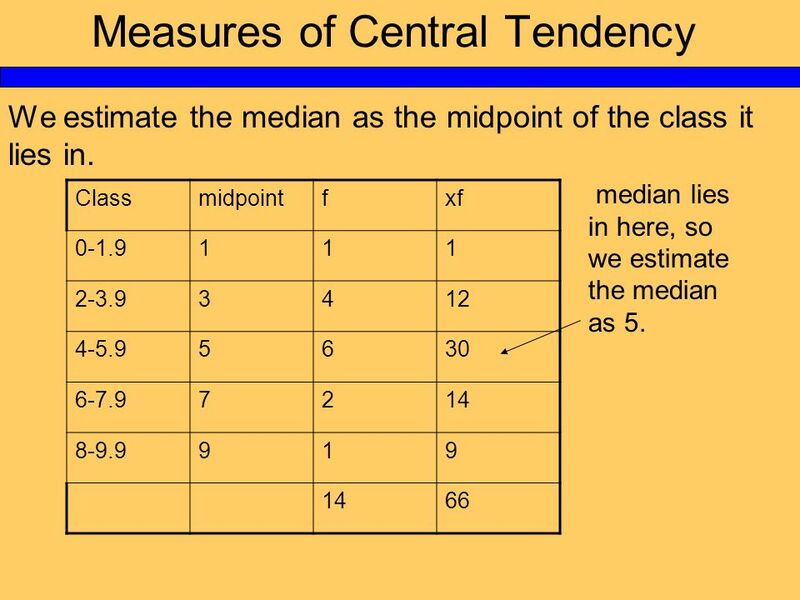 11 Measures of Central Tendency We estimate the median as the midpoint of the class it lies in. 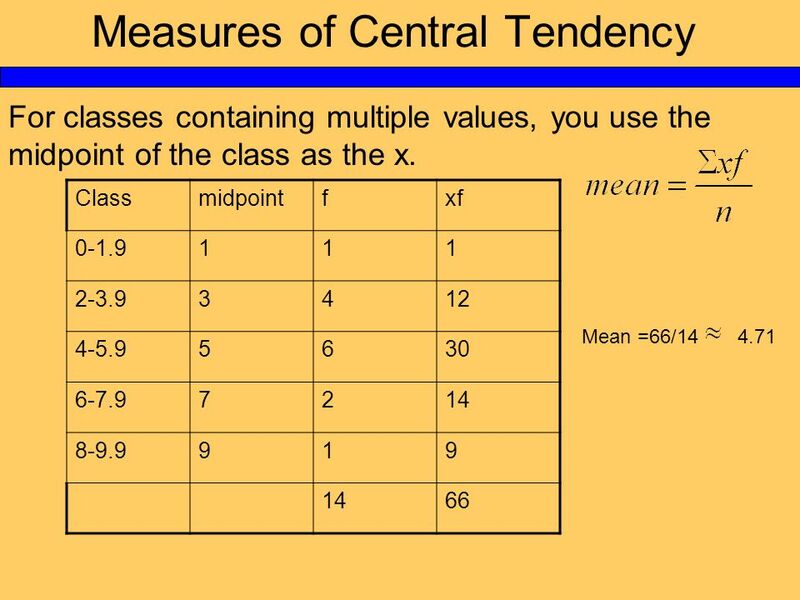 Classmidpointfxf 0-1.9111 2-3.93412 4-5.95630 6-7.97214 8-9.9919 1466 median lies in here, so we estimate the median as 5. 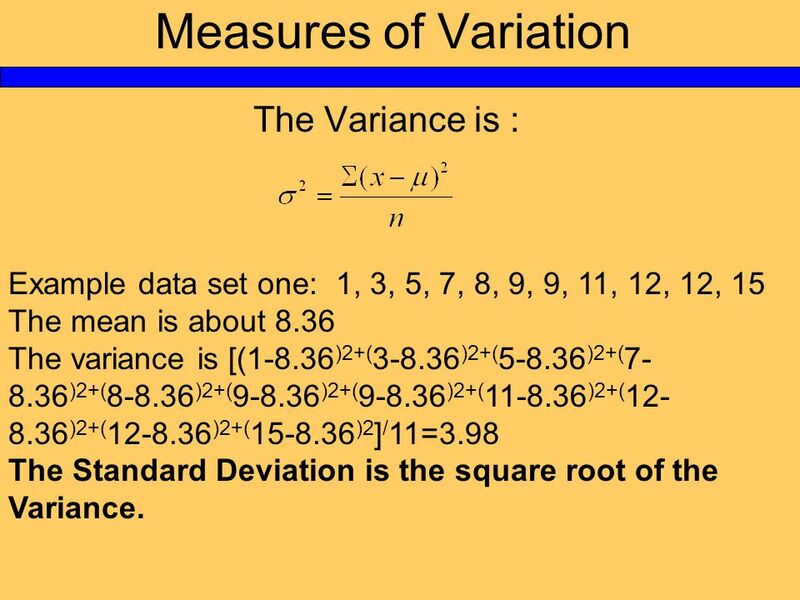 14 Measures of Variation The Variance is : Example data set one: 1, 3, 5, 7, 8, 9, 9, 11, 12, 12, 15 The mean is about 8.36 The variance is [(1-8.36 )2+( 3-8.36 )2+( 5-8.36 )2+( 7- 8.36 )2+( 8-8.36 )2+( 9-8.36 )2+( 9-8.36 )2+( 11-8.36 )2+( 12- 8.36 )2+( 12-8.36 )2+( 15-8.36 )2 ] / 11=3.98 The Standard Deviation is the square root of the Variance. 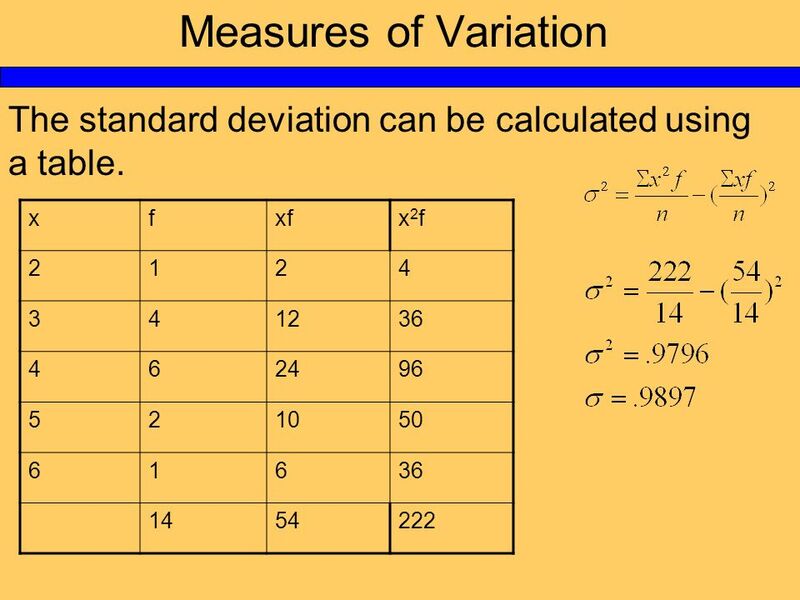 15 Measures of Variation The standard deviation is the easier to find using a calculator with the function built in. 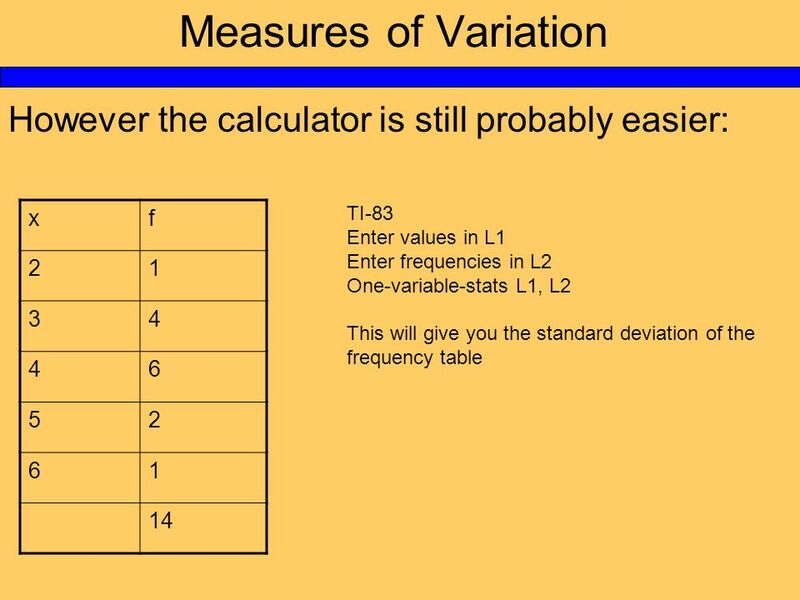 Example data set one: 1, 3, 5, 7, 8, 9, 9, 11, 12, 12, 15 TI-83: Put the data in L1 Press Stat. 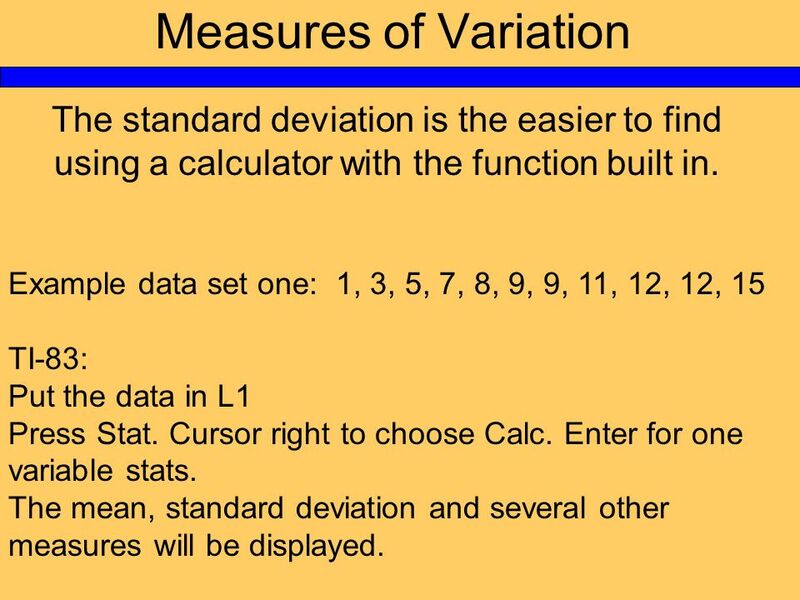 Cursor right to choose Calc. 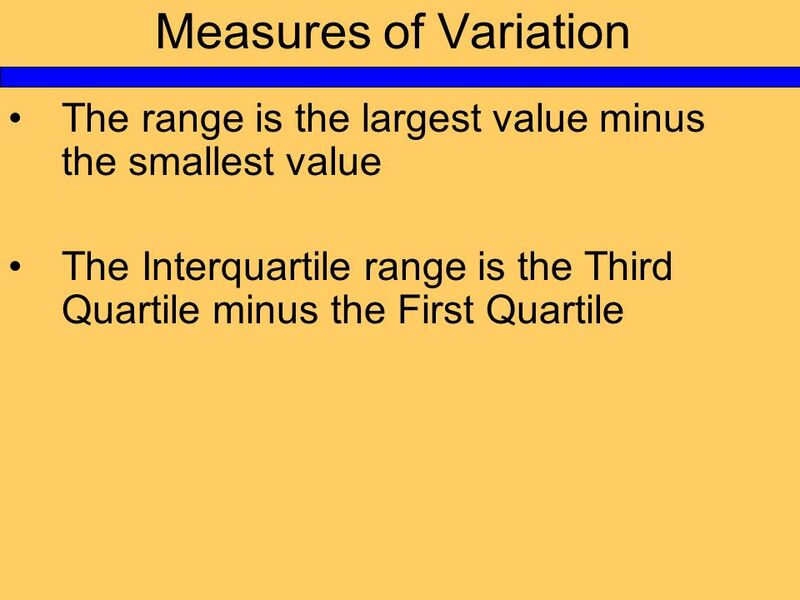 Enter for one variable stats. 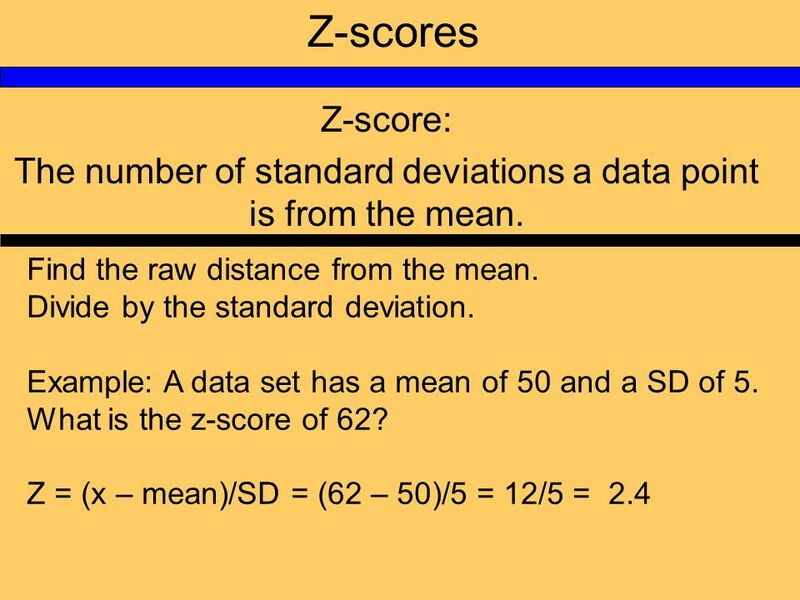 The mean, standard deviation and several other measures will be displayed. 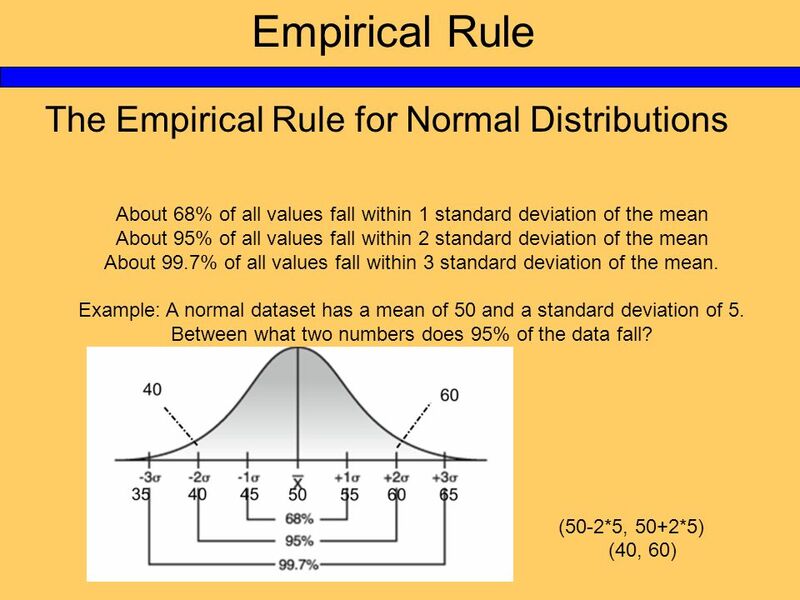 18 Empirical Rule The Empirical Rule for Normal Distributions About 68% of all values fall within 1 standard deviation of the mean About 95% of all values fall within 2 standard deviation of the mean About 99.7% of all values fall within 3 standard deviation of the mean. 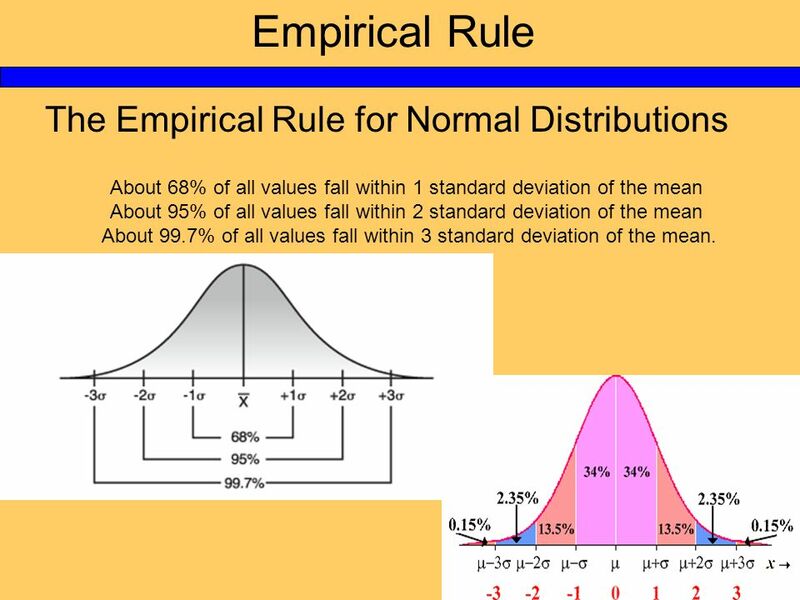 19 Empirical Rule The Empirical Rule for Normal Distributions About 68% of all values fall within 1 standard deviation of the mean About 95% of all values fall within 2 standard deviation of the mean About 99.7% of all values fall within 3 standard deviation of the mean. 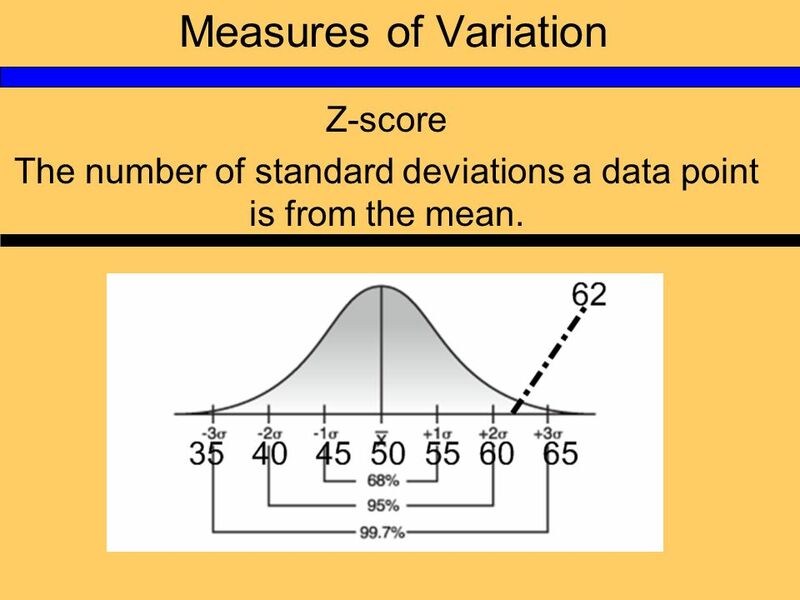 23 Measures of Variation Z-score The number of standard deviations a data point is from the mean. 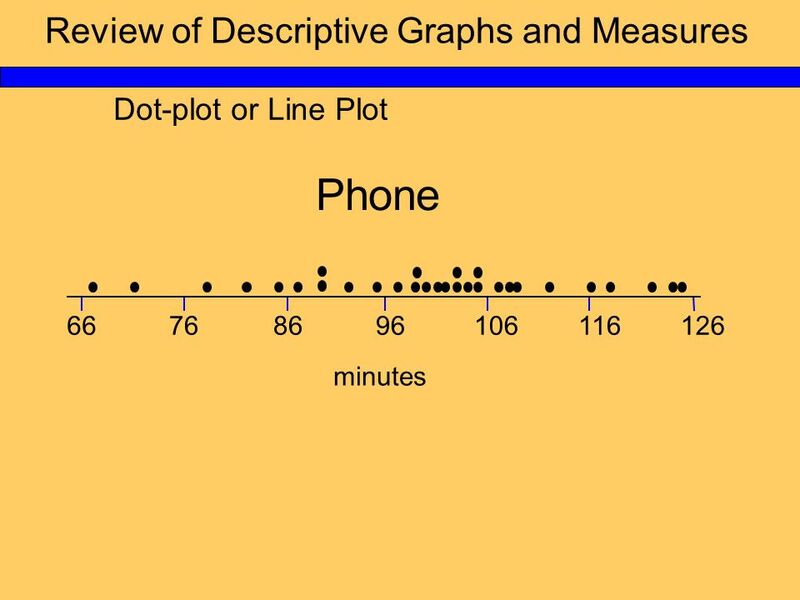 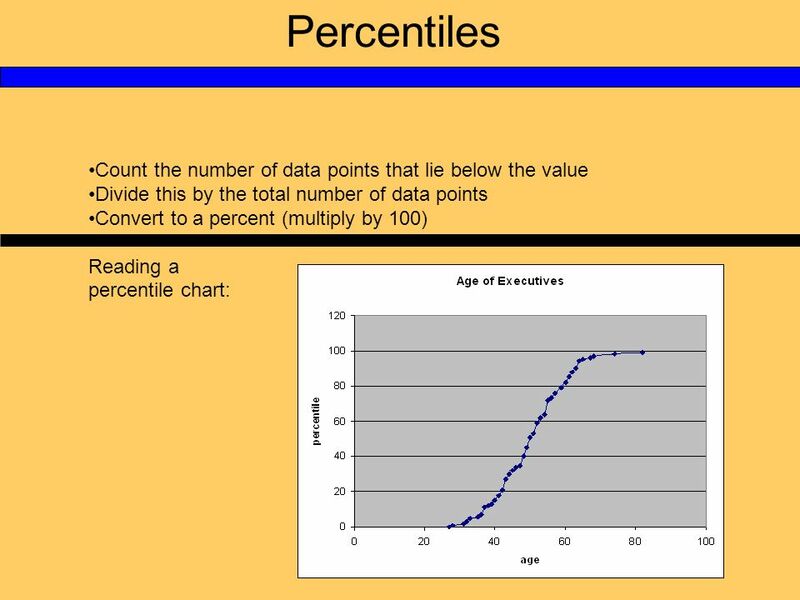 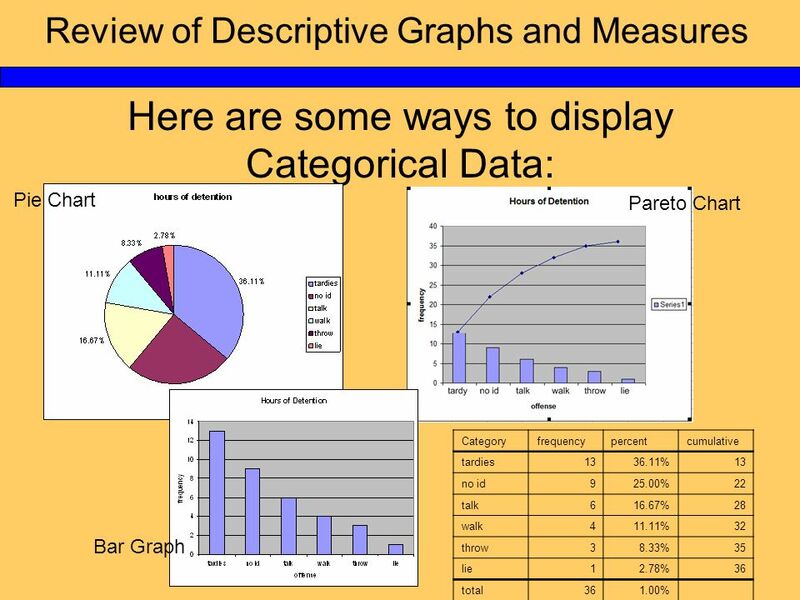 Download ppt "Review of Descriptive Graphs and Measures Here is a quick review of what we have covered so far. 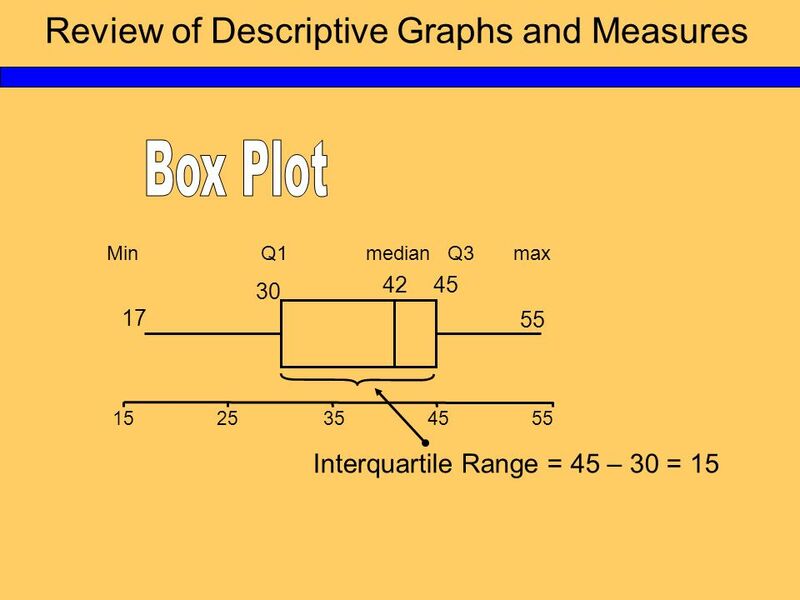 Pie Charts Bar Charts Pareto Tables Dotplots Stem-and-leaf."